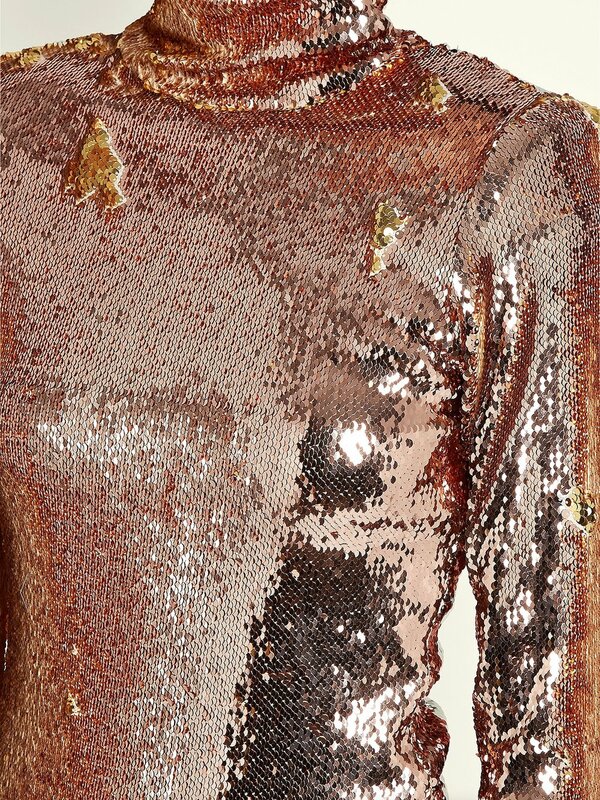 Halpern's rose-gold sequin-embellished trousers are the perfect fusion of disco glamour and couture-salon sophistication. Under artificial light at night, his clothes come alive. The collection is now available at Bergdorf Goodman and MatchesFashion.com. "To be able to put something shiny on, it’s almost like armour"
"I love Bob Mackie, I think he was super revolutionary... The collection is absolutely very niche, you have to have a certain look and mentality to wear it for sure... it has a chintz factor, but it’s meant to be subversive and not so literal. In London, NYC and Los Angeles, I see people wearing the pieces with a vintage concert T-shirt and sneakers – I think that would be great. Or wearing a jumpsuit with a denim jacket over it, that would be cool."